They say when you have time to travel you don’t have money, and when you have money you don’t have time. Backpackers are unapologetically in the former category. Often the end of our trip is a threshold on our bank account rather than a date on the calendar. We require a slightly different strategy for travel, one that points and miles can be a great help for. But first, let’s cover the basics in this first post of our Points & Miles Backpacker Column. Check out this introductory post for more on who I am and how I got to fund 15 years of backpacking around the world using points and miles. The physical act of backpacking — traveling with everything you need in a pack you carry on your back — is the appropriate symbol for the backpacking lifestyle. Backpackers pride themselves on self-sufficiency and avoid much of the luxury, comfort and expense that comes with mainstream vacationing. Kicking off another extended backpacking adventure at ORD in October 2015. Money is usually the limiting factor when backpacking — we travel for as long as we can afford to. Therefore, we stretch those dollars to travel as long and far as we can. Points and miles are a way to stretch that dollar. Miles can turn a significant upfront flight expense into a free flight across the globe. And points can turn a cheap night in a hostel into a free night in a comfy hotel. The end result of both is a dollar that lasts even longer. So yes, points, miles and credit card perks are a backpacker’s friend. Below, I’ve compiled guidelines on how to maximize them to extend travel and make cheap travel even cheaper. I often begin a trip without knowing exactly when I’ll return or from where. Because airlines usually don’t discount long-haul international one-way itineraries, a one-way award ticket is a smart way to kick off a trip. Just be aware of the entry requirements of a country, because occasionally you are required to show to immigration proof of onward travel. Long-haul mileage tickets can also give you more flexibility with stopovers or open jaws, such as United’s Excursionist perk. Also, change fees on an award ticket are often much cheaper than a revenue ticket. I recently gave my parents a trip to Germany using miles and added a free stop in London on the return using United’s Excursionist Perk. I love reading about Brian and Zach’s first-class pampering, but this isn’t how I travel. Flights are a way to get from point A to B, so I find the cheapest way to get there on the fewest points possible. I don’t aim for luxury. I aim for tolerable. Tolerable for me means a window seat with a book and a fully charged laptop. Combine this with a pillow and blanket to lean against the window and I can get through any overnight flight. Economy travel doesn’t have to mean middle seat misery. I always fly economy and almost never end up in a middle seat. Frequently checking seat maps, calling airline reservations, setting a free ExpertFlyer notification, or asking check-in and gate agents nearly always lands me in a window seat. From a 17 hour SFO-SIN flight on a United 787. Give me a window seat, pillow, blanket and some entertainment, and I’m good to go. The quest to make flying intolerable is heating up though — from 28-inch legroom on Spirit Airlines to bare-bones travel on WOW. Find out what makes a flight tolerable for you. If you find yourself on WOW, pack a pillow, fill up a water bottle, and bring your own entertainment. And if you’re tall enough that legroom is an issue, maybe pass on Spirit or pay for extra legroom. From first class to cattle class, airlines are devaluing loyalty, so there’s no reason to show it to them at the cost of points or dollars. The miles earned from flying on a low-fare ticket are a fraction of what they used to be, so don’t pay a bunch more for a ticket so you can net a few hundred more miles. Use a site like Google Flights (great for flexible destinations and travel dates) or Momondo (great for including low-fare airlines), and go with the cheapest, tolerable flight you find, but do claim whatever miles on whatever airline you end up on. 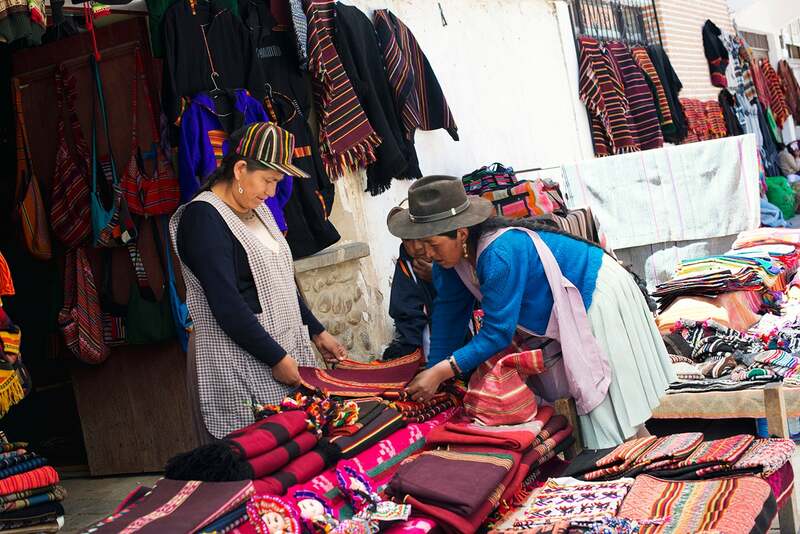 If you’re shopping an artisan market in Cusco for a pair of those colorful pajama pants that seem to be the South American backpacker uniform, you can almost guarantee the price you’re told isn’t what you actually have to pay. Asking for better is part of the lifestyle. Don’t be afraid to apply those principles to travel. When you book a flight, there may be no way around paying an extra $18 for a window seat, but you could also try not selecting a seat, then asking a gate agent nicely for a window. Or get friendly with the hotel front desk clerk and see how nice a room he or she puts you in. Often it won’t be the one you would have been in. For long-term travel on a budget, staying in a hotel every night isn’t feasible in much of the world, nor is it the best way to make travel friends. But hotels do work well for special occasions. Perhaps you need more privacy for a while than a shared hostel dorm can offer. Or maybe you need a full day to sprawl out on a comfortable bed in your own private room in peace. This is a great time to use hotel points. When you do, especially if you’re in an upscale hotel, give yourself the day to recharge and enjoy the facilities. Ask for early check-in and late checkout. Save the city exploration for a day when your bed sheets have a significantly lower thread count. During a month of travel in Bali, I spent one free night at the InterContinental — relaxing and not leaving the property for 32 hours, including two sunsets. With the Citi Prestige’s 4th Night Free benefit now available to hostels, this card is very appealing for an extended backpacking journey. A four-night stay in a hostel is about your average duration, so saving 25% on accommodations — typically my largest expense, since I buy flights with points and miles — means a lot more accommodation and a lot more travel. Of course, the perk can only be used where credit cards are accepted and the hostel is bookable online, which eliminates many hostels in the developing world. I’ll be testing this perk on hostels often this year, so I’ll report back. Backpackers are not too proud to accept generosity; we do so gratefully. So now is the time to call your mom’s cousin in Ireland and ask if they’d like a visitor. Odds are they would love to host you. And breaking up a backpacking journey with some home-cooked meals, family hospitality and a local perspective will be a welcome feeling you didn’t know you needed. It’s also great for the budget. Don’t shy away from travel giveaways either. Promos like Southwest’s California Millions or Marriott’s “Extra Points Sundays” can add up eventually. Or check right here on TPG. You can pretty much guarantee any time there is a reader meet-up event (and sometimes even on Facebook Live), TPG will be giving away something awesome. Brian Kelly is the Ellen of points and miles. Enter, Play, Win. It worked for me. TPG always has giveaways at his reader meetups, like this St. Paddy’s Day happy hour in DC. I could take any of the above guidelines and write full detailed articles for them, some of which I will. But for now, I’m keeping it high-level to highlight the backpacker mentality. If I’m speaking your language here, stay tuned. Or better yet, let me know of any specific questions or topics you’d like me to cover by emailing backpacker@thepointsguy.com. I’ll be spending most of this year backpacking the globe and practicing what I preach. I hope I will inspire you to do the same. We’re launching The Points & Miles Backpacker today, with this, the first post of the series. Follow along every other Monday for more posts on how to make backpacking on points and miles work for you! Featured photo by Getty Images. All other photos, unless otherwise noted, by the author.